Rock climbing is quickly gaining traction as a mainstream sport in the US, with new climbing gyms making the sport more accessible than ever. Once primarily an outdoor sport for the crunchy variety of athlete, indoor climbing has enabled many more folks, from young to old, to safely enjoy the experience of rock climbing in a climate controlled environment. Physical therapists obviously have a responsibility to keep up with the demands of this growing sport, as outpatient clinics are already teeming with patients who have injured their shoulders, necks, wrists, hips and lower backs while clamoring up rock walls. NGPT: Many of our new grad readers have worked with baseball, basketball and football players. They are thrown for a loop, however, when a rock climber enters the clinic for treatment. Can you share some insight regarding climbers’ unique treatment needs? Dr. Vagy: Most climbers are performing the wrong exercises because they’re given programs that are effective for other types of patients. Whether those patients are athletes or sedentary office workers, a good physical therapist cannot expect favorable outcomes for high level climbers if the exercises aren’t properly prescribed to address the functional movements that climbers use on the wall. 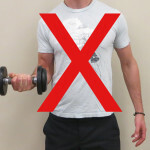 I see this most frequently in rotator cuff training programs. NGPT: That definitely makes sense. So what can you tell us regarding poorly designed RTC training programs? 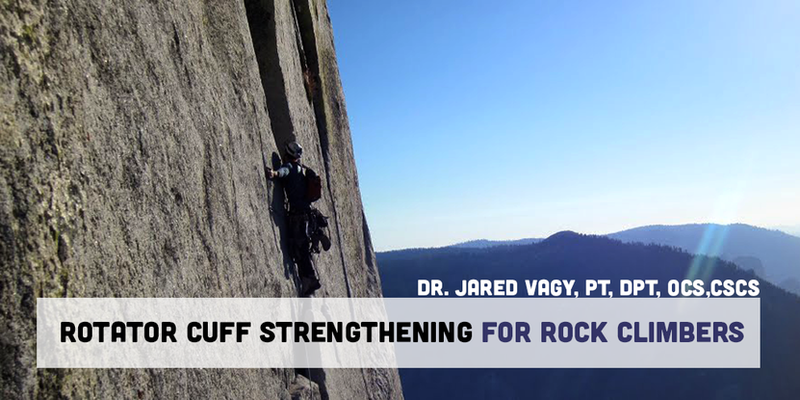 Dr. Vagy: Most climbers are simply performing the wrong exercises for their rotator cuffs; I am frequently disappointed to see high level climbers performing exercises like standing with a rotating weight or using a resistance band at their torso. 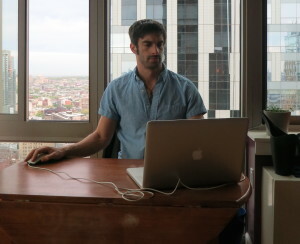 These exercises are perfectly acceptable if you’re sedentary and your primary activity involves sitting at a computer and typing on a keyboard and using a mouse. The motions are similar to those used by the RTC in such a position. However, this type of strengthening is useless, and by no means reflects the actual demands on the rotator cuff during climbing. 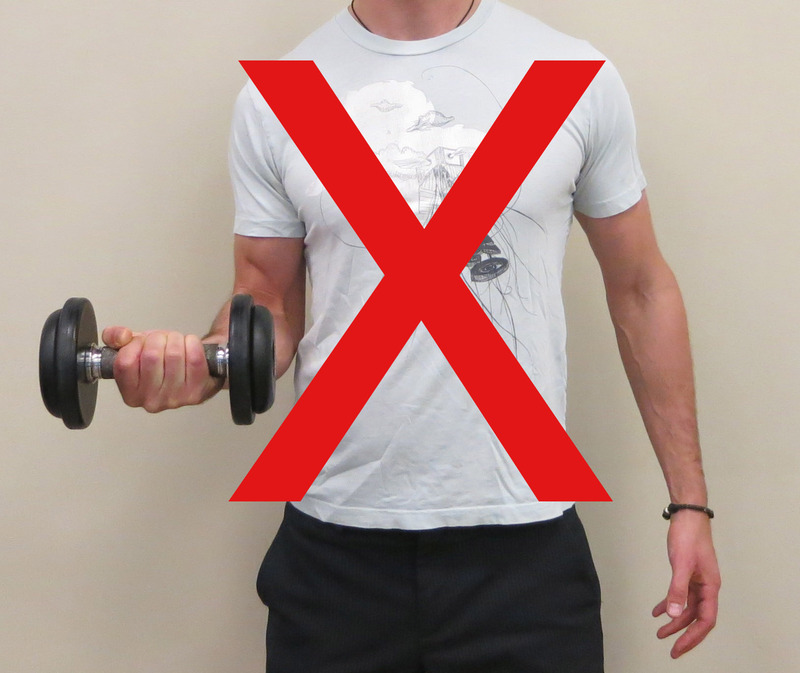 For a shoulder exercise to be effective it needs to be functional. NGPT: For those of us non-climbers, can you tell us a little more about the functional movements used in climbing? Dr. Vagy: Absolutely. Think about climbing a wall. Are our arms ever resting at our side and rotating outwards when we climb? Rarely. So when strengthening the shoulders, our body position must mirror what we actually do on the wall. The arms are typically at shoulder height, or higher, during all climbing routes. When moving laterally, the arms are still elevated, but also abducted. The elbows need to be straight if you work on overhangs and steep routes and typically the shoulders are working in a neutral to slightly internally rotated position during simple ascents. NGPT: Those are very different from movements found in other sports. Do you have any exercises our new grads can use to help their climber patients strengthen their shoulders in a functional way? Dr. Vagy: Obviously, you will need to ask your patients the right questions to determine which positions elicit their symptoms. Proper observation of functional movements and muscle testing are essential, as well. For basic rotator cuff strengthening, I will often prescribe two simple, but highly effective, exercises that strengthen the RTC in the way that it is used while climbing. How often: Perform reaches for 20 to 60 seconds, lower and repeat for 3-5 sets. Purpose: Strengthens your rotator cuff muscles by simulating the action of reaching for climbing holds in varied positions. What to do: Wrap a single resistance band around your wrists and make your hand into a fist. Press your fists gently into a wall and imagine there is a clock in front of you with twelve o'clock at the top and six o'clock at the bottom. 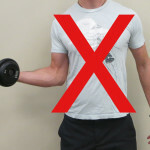 Press your wrists outwards on the band, keep your elbows straight and reach out towards A: 3 o'clock. B: 1 o'clock. C: 5 o'clock. D: 6 o'clock. 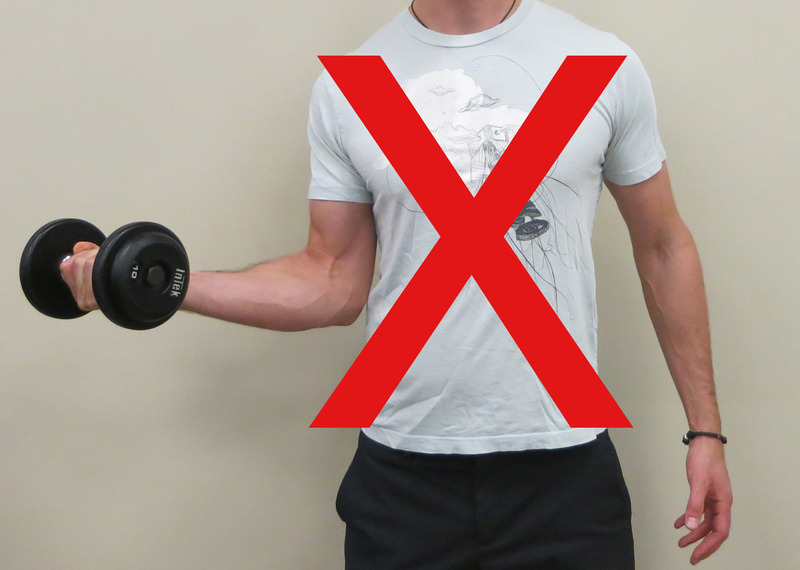 Repeat with the opposite arm for 9, 11, 7 and 6 o'clock. Purpose: Strengthens your rotator cuff muscles and stabilizes the shoulder in a range of motion that is common during climbing. What to do: Wrap a single resistance band around your wrists. Sit into a mini squat to mirror the position of the lower body when climbing. Press outwards on the band and raise the arms overhead. Malliou PC, Giannakopoulos K, Beneka AG, Gioftsidou A, Godolias G. Effective ways of restoring muscular imbalances of the RTC muscle group: a comparative study of various training methods. Br J Sports Med. 2004;38:766–772. Reinold MM, Wilk K, Fleisig GC, et al. EMG analysis of the rotator cuff and deltoid musculature during common shoulder external rotation exercises. J Orthop Sports Phys Ther. 2004;34:385–394. Van der Heijden GJ, van der Windt DA, de Winter AF. Physiotherapy for patients with soft tissue shoulder disorders: a systematic review of randomized clinical trials. BMJ. 1997;315:25–30. Wilk KE. Current concepts in the rehabilitation of athletic shoulder injuries. In: Andrews JR, Wilk KE, eds. The Athlete’s Shoulder. 1st ed. Philadelphia, Pa: WB Saunders; 1994:335–368. Kramer WJ, Ratamess NA. Fundamentals of resistance training: progression and exercise prescription. Med Sci Sports Exerc. 2004;36:674–688.